Catch up on your lost sleep in Ramadan! REPAY your “SLEEP DEBT”?? SUMMARY: Many Muslims wonder if our sleep requirements change during Ramadan. Is Ramadan somehow a special time in which our bodies can handle less sleep? The short answer is, no. Repaying your sleep debt as quickly as possible, by adding short 15, 20, 30-minute naps, may reverse the negative effects of sleep deprivation. You can repay sleep debt as long as your sleep debt does not exceed 20 hours. This article discusses strategies to help you make up your sleep debt during Ramadan! Our bodies have constant sleep needs for rest and recuperation. If you go too long without getting adequate sleep, you begin to accumulate a “sleep debt”, which has serious consequences on our cognitive performance. One study followed students who slept only 4 hours a night and found that after only 6 days of sleep deprivation, they had higher blood pressure and higher levels of the stress hormone cortisol. Another study found that after 2 weeks, people who slept 4 hours a night had the same cognitive impairments as people who had pulled a full all-nighter with no sleep at all! Even people who slept 6 hours a night showed reduced reaction time and memory after 2 weeks (3). Once sleep deprivation — with its fuzzy-headedness, irritability, and fatigue — has us in its sway, we can hardly recall what it’s like to be fully rested. And as the sleep debt mounts, the health consequences increase, putting us at growing risk for weight gain, diabetes, heart disease, stroke, and memory loss. Reading these findings should emphasise how important your sleep is during Ramadan. The fact is you cannot simply expect to power through all of Ramadan on low sleep. You WILL experience decreases in cognitive performance and memory. You will probably become more irritable, especially as your sleep debt increases as the month goes on. You may put yourself at increased risk for weight gain and indulging in unhealthy cravings. If you are sacrificing and cutting into your sleep for social reasons during Ramadan, these negative effects simply are not worth it. Prioritise your sleep and try to go to sleep as SOON as possible immediately after Taraweh to maximise sleep hours. You live in a timezone or geographic location in which you simply are not able to get the required number of hours of sleep during the night between Taraweh and Suhoor and Qiyaam. You are doing your best to go to sleep RIGHT after Taraweh, and yet you’re still not getting enough hours of sleep. You love to awaken to pray Qiyaam ul-Layl night prayers, and are wondering how to work your sleep around this precious ibadah. You have a long and difficult work schedule in which you are forced to cut into your sleep and wake times. 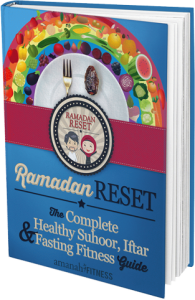 Many Muslims experience reduced sleep during Ramadan and need solutions on how to feel more rested. Research has shown that it is possible to “repay” short-term (not chronic) sleep debt, especially when the sleep debt is paid back quickly. One study found that the negative consequences of higher blood pressure and increased cortisol levels due to lack of sleep were reversed when participants “made up” the sleep they missed by adding extra hours of sleep afterwards (3). Another study found that after 4 days of low sleep, participants could “reverse” the effects of sleep-deprivation if they caught up on the sleep they missed within 2 days (9). Although research findings are mixed and some studies suggest it may not be so easy to “repay” your sleep debt, based on this current research, repaying back your sleep debt as soon as possible is the best advice sleep experts can give to mitigate the harmful effects of sleep-deprivation long-term. Sleep researcher Kurt VonRueden suggests keeping a “sleep diary” in which you keep track of your hours of sleep missed. In Ramadan, tabulate how many hours you are missing per day and then plan to “repay” those hours on the weekend or through the other strategies listed above. In order to make the most of Ramadan, you must be vigilant and stay on top of your sleep debt. Catch up on hours or minutes through napping whenever you can as SOON as you can. Try catching up on your missed sleep hours on a week-to-week basis. Ideally, you should have repaid your ENTIRE sleep debt from the first 20 days of Ramadan when the last 10 nights of Ramadan begins. This way, you can push yourself in your ibadah in the last 10 nights, and repay your final sleep debt on Eid or in the immediate days thereafter! A’ishah (May Allah be pleased with her) reported: When the last ten nights (of Ramadan) would begin, the Messenger of Allah (peace and blessings be upon him) would keep awake at night (for prayer and devotion), awaken his family and prepare himself to be more diligent in worship. (Al-Bukhari and Muslim). The last 10 nights are a time to push yourself physically and mentally in the pursuit of spiritual rewards. By taking care of your sleep debt earlier in the month, you can dedicate yourself to getting the most out of the last 10 nights of Ramadan while minimising your sleep debt as much as possible. Your sleep debt may widen dramatically during the last 10 nights. The best way to approach this is being intentional about prioritising ibadah and minimising sleep-stealing distractions, napping appropriately in the day, and catching up on your sleep debt immediately after Ramadan concludes. The Prophet ﷺ said: Verily, your body has a right over you. Be proactive in keeping a sleep diary and keeping track of how many hours of sleep you are missing in the last 10 nights of Ramadan. Be responsible in making these hours up after Ramadan concludes, as quickly as possible, to avoid long-term negative effects of sleep deprivation. Note: The field of sleep research is constantly adapting and growing. These findings are based on current research and future research findings may disprove or change these findings. This is the nature of science. However, we must try to do our best with the current research and knowledge we have to nurture and protect our bodies and our sleep to the best of our abilities. One of the most common questions people have about sleep is whether they can NAP to fill in their sleep debt. Naps are an excellent tool for effective sleep… if they are done CORRECTLY! There is definitely a WRONG way to nap! In the next article, learn how to nap properly to feel rested throughout Ramadan!